The John Jay Cross Country and Track & Field teams together with the John Jay Booster Club will be holding the second annual John Jay 5k Trail Race at the JJ campus on Sunday, April 7, 2019 at 9am. In addition to the 5k trail race, this year adds a 4k Jay Walk option and a 200 meter Kids Jay Dash for kids elementary school age and younger. 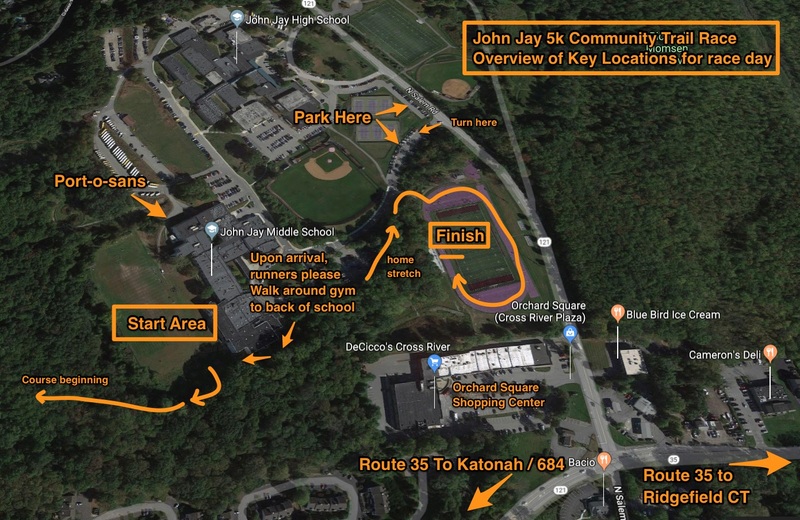 The events will help raise money to “Fund the Finish Line” and complete the building of the John Jay Community Trail (our new cross country course) and fund the XC / Track and Field programs at John Jay. Run the race: Register yourself and family members for the second annual John Jay 5k Race, the 4k Jay Walk, or the Kids Jay Dash! 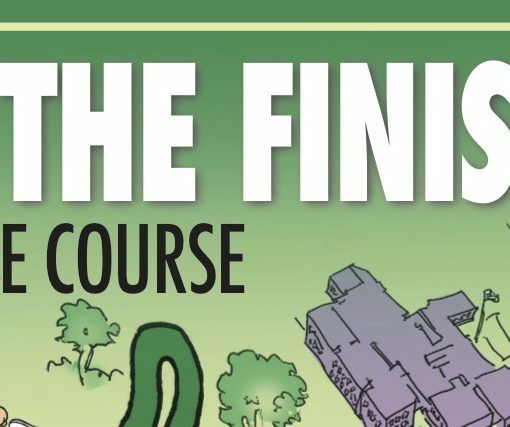 Donate: Please consider donating directly to “Fund The Finish” for bridge and boardwalk construction. Sponsorships: Who do you know that runs a business that could support the race? Your relationships can make a big difference in our community. Click to link to sponsors. Volunteer: We need pre-race, race-day, and post-race volunteers to make this a success. We also welcome and encourage parents and students to get involved with organizing the event. Join the John Jay Booster Club: With Cross Country and Track & Field having the most students for any sport at John Jay, let’s support our athletic program at the John Jay Booster Club and beyond. If you have an athlete in another sport, a student at John Jay, or even if you have no kids in JJHS or KLSD, there is still good reason to support the Boosters. Their efforts are district-wide and improvements to the athletic community they foster benefit residents of the entire district. 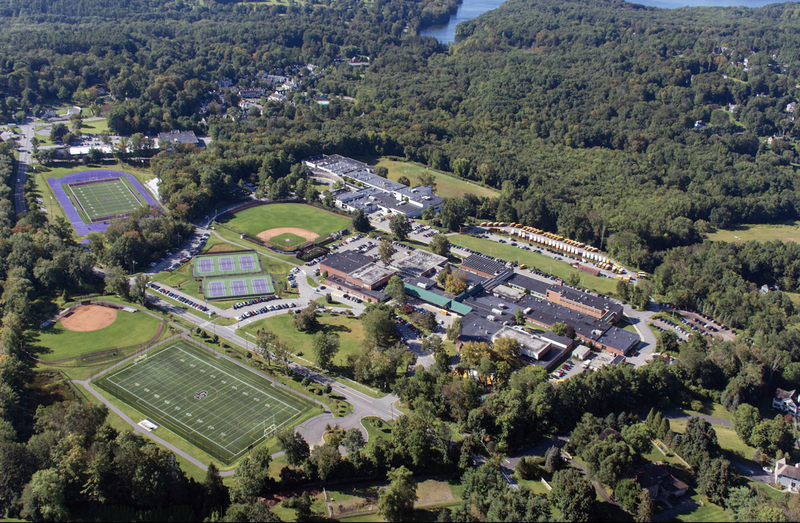 (Examples include the contest field, the tennis courts, and of course the John Jay community trail). Go to runsignup.com/jjtrail to Donate, Register, or Volunteer (click “More” to see volunteer tab). Email Rob Cummings (rjc@dbmscan.com) or Bill Crawford (williamgcrawford@gmail.com) to help us with sponsorships. The John Jay 5k: The John Jay 5k Community Trail Race is a competitive community race on the new John Jay Community Cross Country Trail. 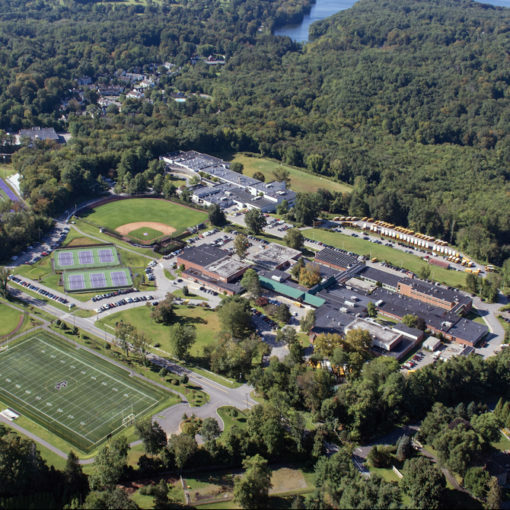 The course starts on the lower fields of the John Jay Campus and quickly goes into the wooded trails adjacent to the middle school and high school. The trails are challenging and hilly in the woods. Runners finish in front of friends and family at the John Jay Contest Field. The John Jay 4k Jay Walk is a non-competitive walk through the main parts of the John Jay Community Trail. The walkers will start after the 5k runners are in the woods. Most of the trail is the same course as the 5K race except for approximately 1k of the southern hill loop that is skipped by the walkers. 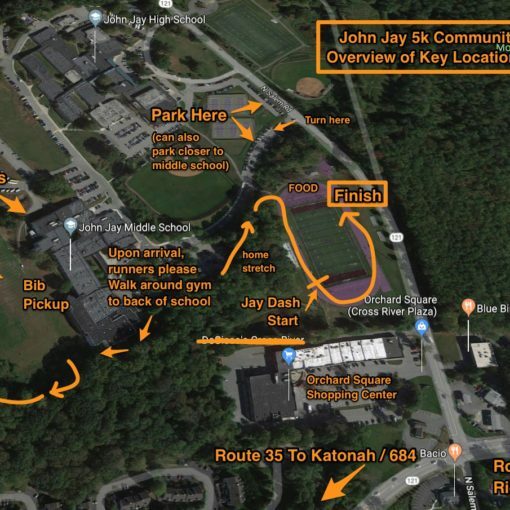 Both the 5k and 4k courses end at the John Jay Contest Field — where there will be water, oranges, bananas, bagels, hot coffee, hot tea, and hot cocoa waiting for runners and volunteers. The Kids Jay Dash race is a 200 meter race and will take place after the 5k run / 4k walk finish. The Dash will be on the John Jay Contest Field Track. Start time shown is approximate but we will try to be as close as possible to that time. 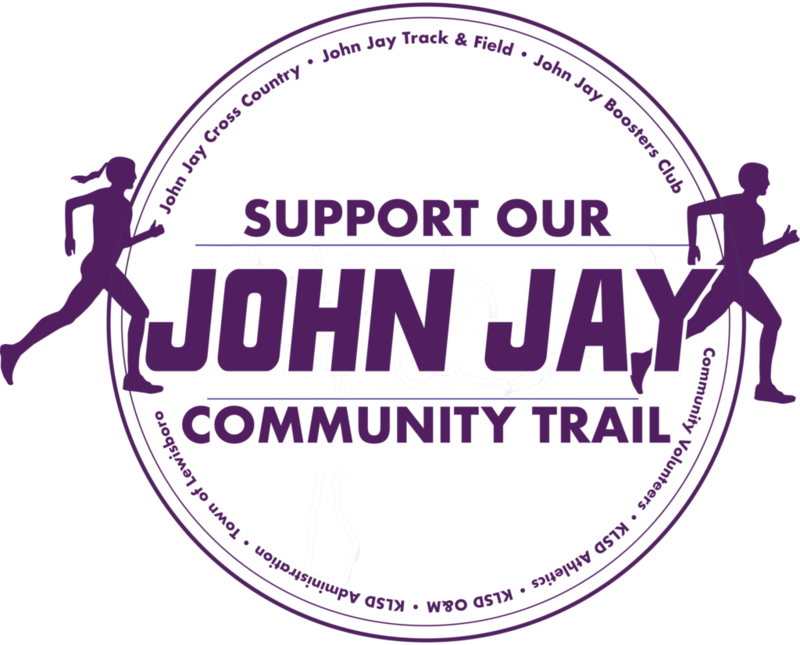 JJ Trail: The John Jay Community Trail has been developed and built by student and community volunteers to provide a home course for the John Jay Cross Country teams as well as for the community. John Jay Cross Country / John Jay Track & Field: The John Jay Cross Country teams have won three state-level titles since 2013, two Section 1 titles, and swept the County Championships for both Varsity and JV, boys and girls in the most recent season. John Jay Middle School has both Modified Cross Country plus winter and spring Track & Field teams who compete throughout the county. Please help us take the JJ programs to an even higher level. John Jay Varsity Girls at pre-season warmups in the Meadow at Ward Pound Ridge Reservation. 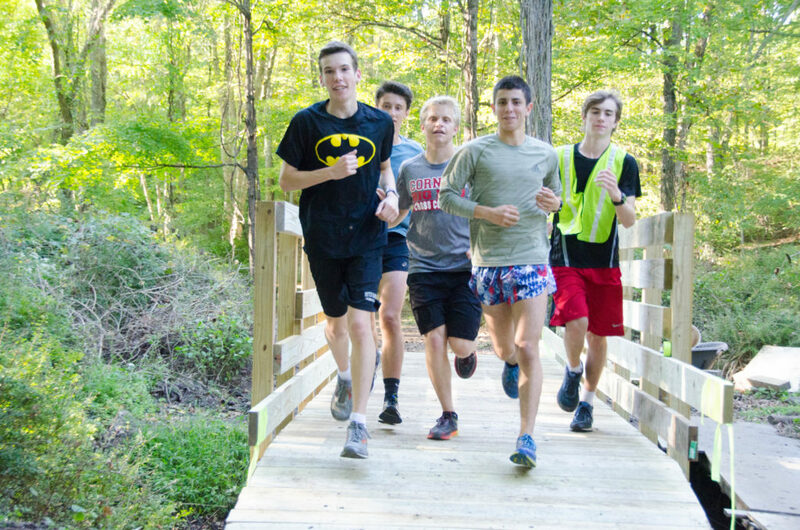 John Jay High School Cross Country Varsity Boys team members cross the newly completed bridge on the John Jay Community Trail. Left to right: Brendan Carroll, Will Kennedy, Mills Reed, Ed Soriano, Zach Kells. Next post Become a Sponsor of the John Jay Community Trail Races!